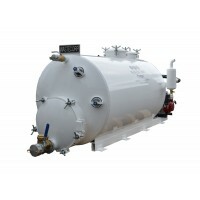 1500 gallon waste compartment and a 100 gallon water compartment. 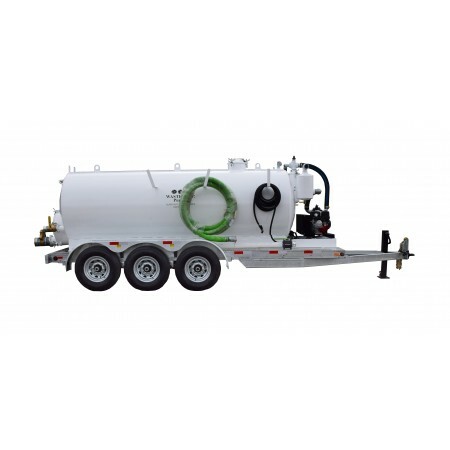 The TVP-1500-100 dual compartment vacuum pump system is a high capacity waste collection and fresh water distribution system. 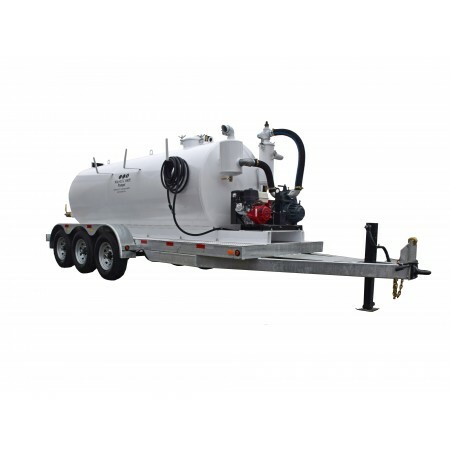 The TVP-1500-100 dual compartment vacuum pump system is available in skid mounted or trailer mounted configurations. 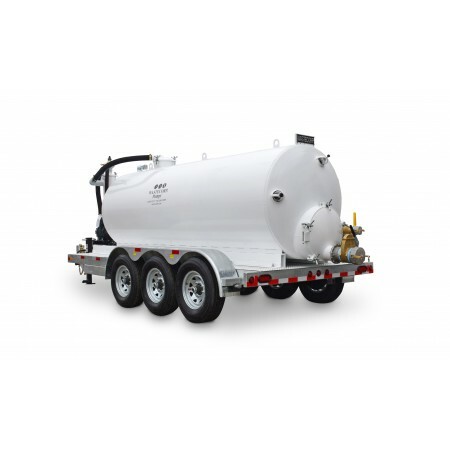 The vacuum tank is engineered with a 1500 gallon waste compartment and a 100 gallon fresh water compartment in the same tank. 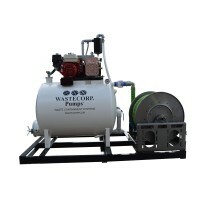 Select from high power 92-363 CFM vacuum pumps for the toughest high suction pumping applications. 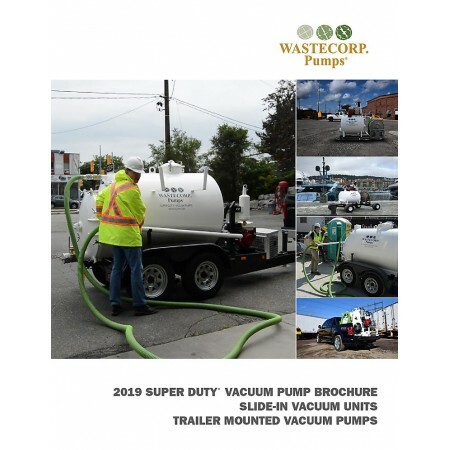 Financing for your Super Duty Vacuum Pump is available. 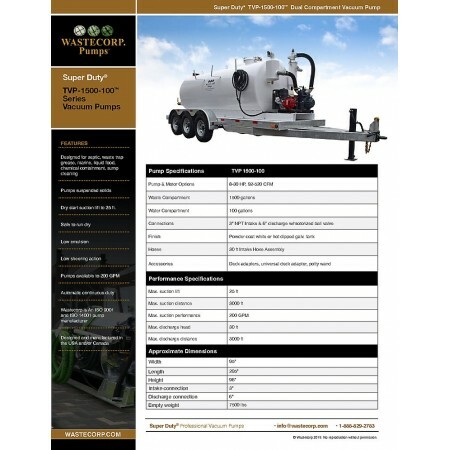 Contact your Wastecorp representative at 1-888-829-2783 for more information.